With five young kids in the house it can sometimes be hard to come up with meal that everyone will eat but these Rosemary Parmesan Fried Chicken Tenders are always a hit and a crowd pleaser! 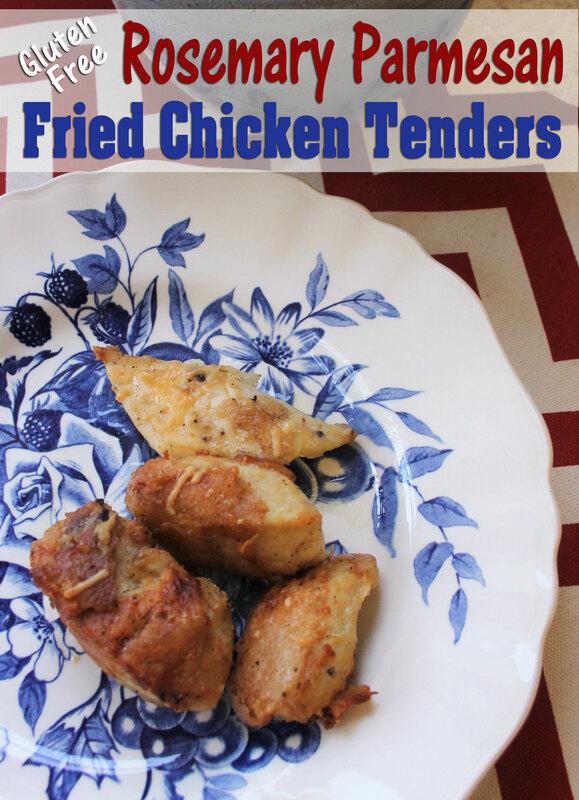 Finding a good fried chicken recipe that is gluten free is a tricky thing. There are several floating around out there and they can look really good but then in reality, just putting the ingredients together is a challenge and many times they’re not ingredients you would have in your kitchen already. If you have a gluten intolerance or Celiac disease you’ve probably already tried plenty of those recipes – chased down all the right items and then had the recipe totally bomb anyway.